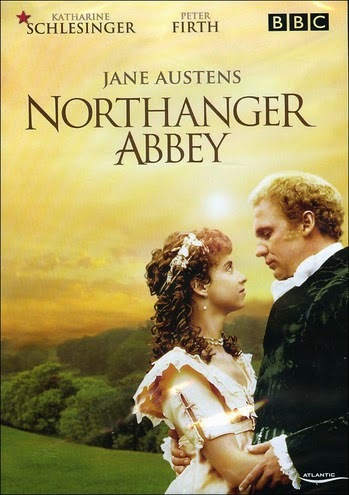 I always thought that, out of all Jane Austen’s works, Northanger Abbey was the easiest to adapt in a movie. It is the most faced-paced, light-hearted, and features a Gothic element that works really well on screen. Yet, the 1986 film adaptation of this work falls short on so many levels. Where to start? The movie is told through Catherine Morley’s eyes. As she fantasises a lot, we are treated to a lot of Gothic scenes, in which a helpless Catherine is saved from her enemies by a dashing hero. This scary element could have really added to the story, but it is so overused here to make the whole movie almost look like a cheap horror flick. That’s even more true because these fantasy scenes take up so much time that there just isn’t enough left to dedicate to the rest of the plot, which has been horribly cut and mangled. 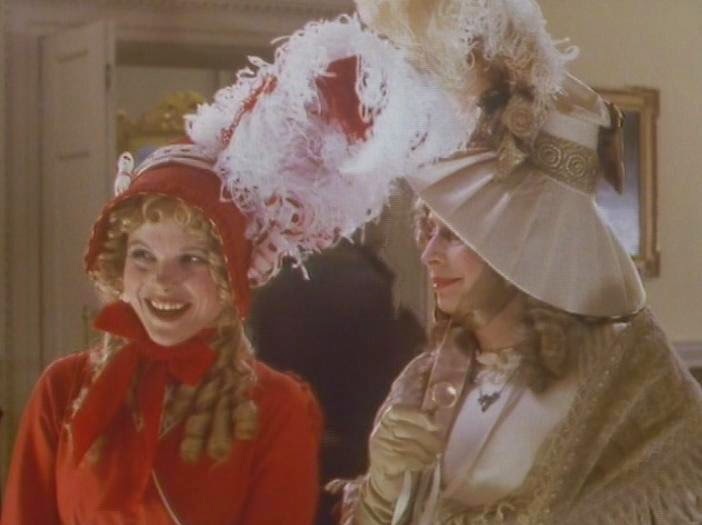 Catherine meets Henry Tilney at a ball. But the whole occasion is cut so short that the viewer is left wondering what Catherine sees in him. John Thorpe, on the other hand, is present even too much at the beginning. The way he follows Catherine around everywhere, both with his eyes and body, is more reminiscent of a stalker than a suitor. And then, all of a sudden, he disappears. The friendship between Catherine and Isabella was developed too quickly too. One day they meet, the next Isabella reveals her love for James, and then the young man rushes to his parents to obtain their permission to marry. I could cite many more examples, but these are enough to give you an idea of how many important scenes were removed to make room for Catherine’s Gothic dreams. They are a huge part of her personality, but if the movie-makers thought them so important, then they should have made the movie longer to fit everything in nicely. As it is, those who haven’t read the book are left wondering why the characters are acting the way they are. Why is Catherine interested in Henry? Why is John Thorpe interested in Catherine? 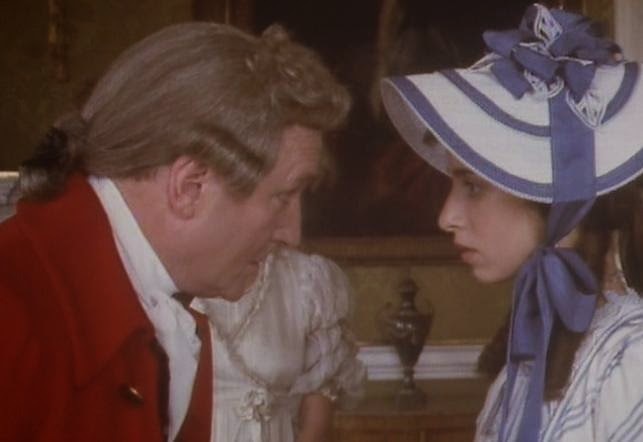 Why is General Tilney so eager for Catherine to marry his son? Good luck figuring that out just by watching the movie. 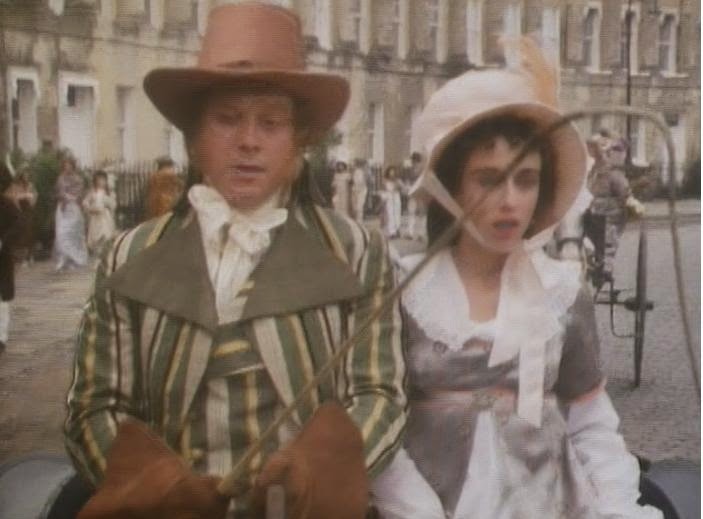 A lot of the humour that makes Northanger Abbey such a wonderful satire of Gothic novels and pre-Regency society is also missing in the movie. The most obvious example of this? Henry Tilney’s characterization. A witty and charming young man, he’s a total bore in this movie. He spends more time preaching than charming Catherine, which is why it is so difficult to see what she finds in him. But at least Peter Firth did a decent job with the material he was given. He’s a great actor, and it’s not his fault if his Henry isn’t as brilliant as the Henry Austen penned. What to say of the setting, costumes, and music? They are as beautiful as they are out of place. How could anyone think it was a good idea to choose Bodiam Castle as the location for the Northanger Abbey? Were there no abbeys available? The costumes are quite pretty, but a lot of characters wear things I doubt they would have been able to afford. And the ladies wear way too much makeup. The effect is nice, just not realistic. Ilona Sekacs’ score is a mixture of period music, new age, and synthesizers. Pretty and haunting, but hardly evokes the time period. I like the music, but I don’t think it is right for this movie. So, didn’t I like anything about it? Well, I think all the actors, not just Firth, did their best with what they had to work with. The whole cast was excellent, but not enough to save the movie. Overall, this was a huge disappointment. Did you see this adaptation? If so, what do you think of it?